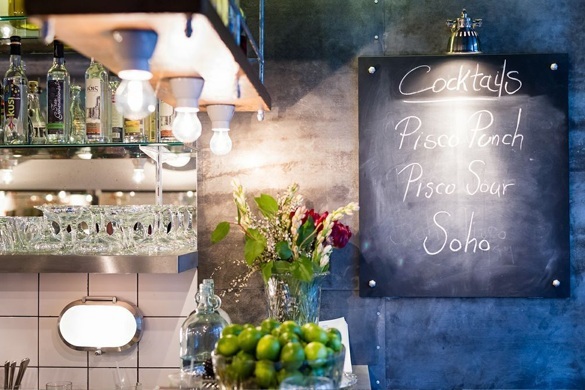 Peruvian restaurants seem to be the next big thing in town and having had a little dabble in Nuremberg last year (yes, I know - a random place to try Peruvian), four single girls hit London's Soho for a night of cocktails and uber-cool cuisine. 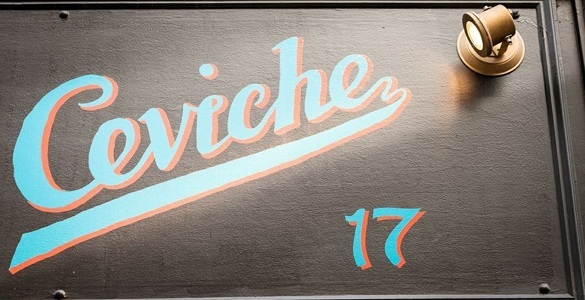 And so we come to Ceviche, a buzzing mecca of Pisco and passion just south of Soho Square opened in February 2012. It's a long narrow place with the bar at the front followed by the restaurant at the back occupying equal halves. a fitting testament to the equal passion given to drinking and eating in this establishment. It was a rainy Saturday night and we had no booking so we had a 30 minute wait for a table. But perched on our bar stools in the nook by the front window, cocktails in hand, this didn't seem to matter and our bartender was on hand to help us get the best from the Peruvian cocktail menu. Moving through to our table at the back, we walked into an ecclectic and rustic space filled with simple character and happy diners. The menu is handled best like you would a tapas menu. Order 2-3 things each and share everything between you. And we had some beauties. There were chicken rotado balls, spicy skewers of chicken and beef, marinated octopus and the most deliciously creamy corn cake - so delicious we ordered a second. And of course there was ceviche - two in fact - one of mixed seafood and the other of sea bass. 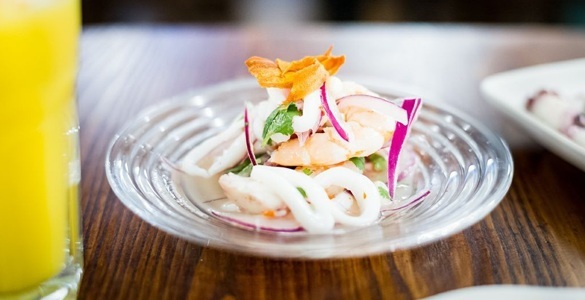 For those of you who don't know, ceviche is raw, fresh fish which is marinated in fresh lime or lemon juice to 'cook' it. I'm not a raw fish fan and, to the horror of people around me, will often ask for tuna and salmon to be cooked through. But ceviche is amazing. The texture has a 'cooked' feeling in the mouth and the piquant flavour combined with the cold fish is absolutely divine. You shoud try it at least once - even if it's to be sure that you are not missing out. The dessert menu at Ceviche is small with only four options. After such a feast, we managed to find room although there was not so much sharing as three of us chose the Pisco soaked sponge while out fourth went for the mousse. Sinfully good. and decided we should definitely make a habit of it.